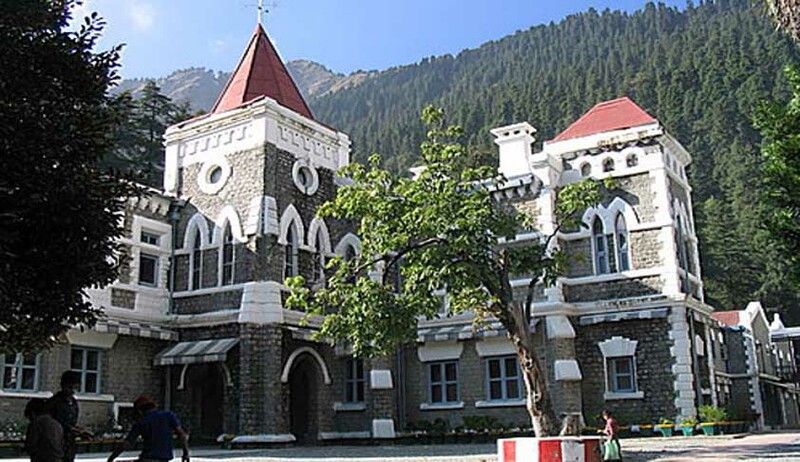 The Uttarakhand High Court has ordered that no wild animals, including tigers, leopards and panthers, shall be declared man-eater/rouge and killed in the state. It also directed the Centre to formulate the National Forest Policy aiming on forest management, conservation and sustainable development also to maintain and increase forest covers and notify the same within six months as per preamble and guidelines framed by the United Nations Conference on Environment and Development, also called Rio de Janeiro Declaration/ Earth Summit/Forest Principles. A division bench of Justice Rajiv Sharma and Justice Alok Singh issued significant guidelines in the matter of protection of forest and wildlife. The bench observed that the vital role of all types of forests in maintaining the ecological processes and balance at the local, national, regional and global levels should be recognised. It is also observed that national policies and/or legislation aimed at management, conservation and sustainable development of forests should include the protection of ecologically viable representative or unique examples of forests, including primary/old growth forests, cultural, spiritual, historical, religious and other unique and valued forests of national importance. The decision, whether wild animal causes threat to life of human being, shall be taken at the highest level by a committee comprising of Principal Secretary, Forest and Principal Chief Conservator of Forest. No private hunter shall be engaged by the State Government to kill wild animals. Ministry of Railways is directed to dig up trenches around the electric poles along railway track in Rajaji National Park and also to insulate the electric poles by raising fence to avoid electrocution of wild animals within a period of three months from today. State Government is directed to follow the notification dated 11.11.2009, issued by 90 Inspector-Generals of Forests and Director (Project Elephant) in letter and spirit for saving the elephants from electrocution. State Government is directed to make suitable amendments in existing forest laws and laws pertaining to wild animals for imposing exemplary punishment, including life imprisonment for poachers. State Government is directed to appoint at least 10,000 fire watchers in order to detect and contain the forest fire, at the earliest, during summer season. Number of fire towers should be increased. Aconitum heterophyllum, Dactylorhiza hatagirea, Alpinia galangal, Coptis teeta, Nardostachys grandiflora, Podophyllum hexandrum, Panax pseudo-ginseng, Picrorhiza kurrooa, Dioscorea deltoidea, Angelica glauca, Allium stracheyi, Podophyllum hexandrum, Nardostachys grandiflora, Aconitum spp., Picrorhiza kurrooa, Saussurea lappa and Dactylorhiza hatagirea. State Government is directed to dig sufficient water bodies in the forest areas to control forest fires and maintain the moisture in environment. Respondents are directed to use foam and other fire retardants to control the forest fires. Disaster Management Plan be strengthened. The cadre strength of Forest officers working in the field be increased at least by 30%. State Government is also directed to provide fire fighting tools including fire proof clothing and machinery to the forest officials. They should be provided with latest monitoring equipment. The equipment should be updated from time to time. Local people must be associated to control forest fires by constituting the Fire Protection Groups. Forest fire range should be cleaned and maintained properly every three months. State Government should undertake the detailed geological, ecological and botanical survey in the entire State of Uttarakhand within a period of one year. State Government is also directed to fix pre-warning alerts system. Numbers of personnel of SDRF and NDRF be increased and deployed during fire months i.e. May, June & July in order to prevent and control forest fire. In case, the forest fire continues for more than 24 hours, the Divisional Forest Officer concerned shall be deemed to be put under suspension. Similarly, if forest fire continues for more than 48 hours, the Conservator of Forest shall be deemed to be put under suspension. Lastly, if forest fire continues for more than 72 hours, Principal Chief Conservator of Forest shall be deemed to be put under suspension and disciplinary proceedings shall be initiated against them for not preventing/ controlling forest fires. A person who causes forest fires intentionally must be sternly dealt with by framing suitable law. State Government is directed to ensure that all the developers maintain at least 20% greenery in housing developing projects. The State Government in coordination with the Central Government is directed to raise stone wall around the Jim Corbett National Park and other national parks to save the wild animals. Forest Department is directed to set up a monitoring cell to track movement of elephants and other wild animals and to inform railway authorities. There shall be coordination between the Forest Department and the Railways. Railway authorities are directed to ensure that the speed of trains should not be more than 30 kmph while passing of the train through Jim Corbett National Park. State Government is also directed to formulate a policy to pay compensation/damages to the farmers for the loss of their crops due to forest fires within six months.